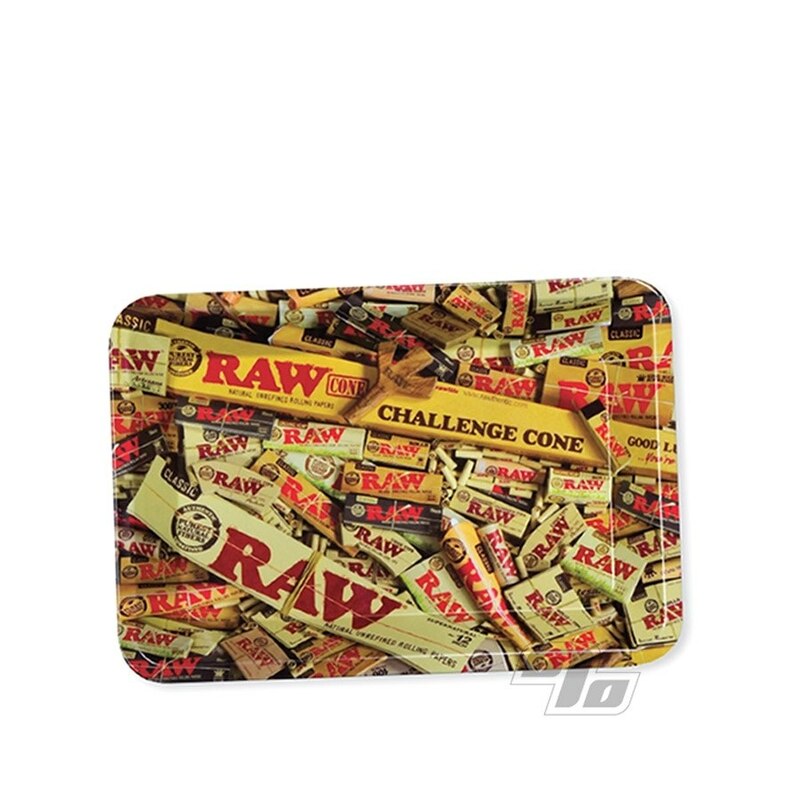 The new mini RAW Mixed Papers Rolling Tray is the smallest (usable) metal rolling tray brought to you by RAW Rolling Papers. If you're a long time fan of RAW papers, you'll love the historical record below as you roll up your latest RAW on top. 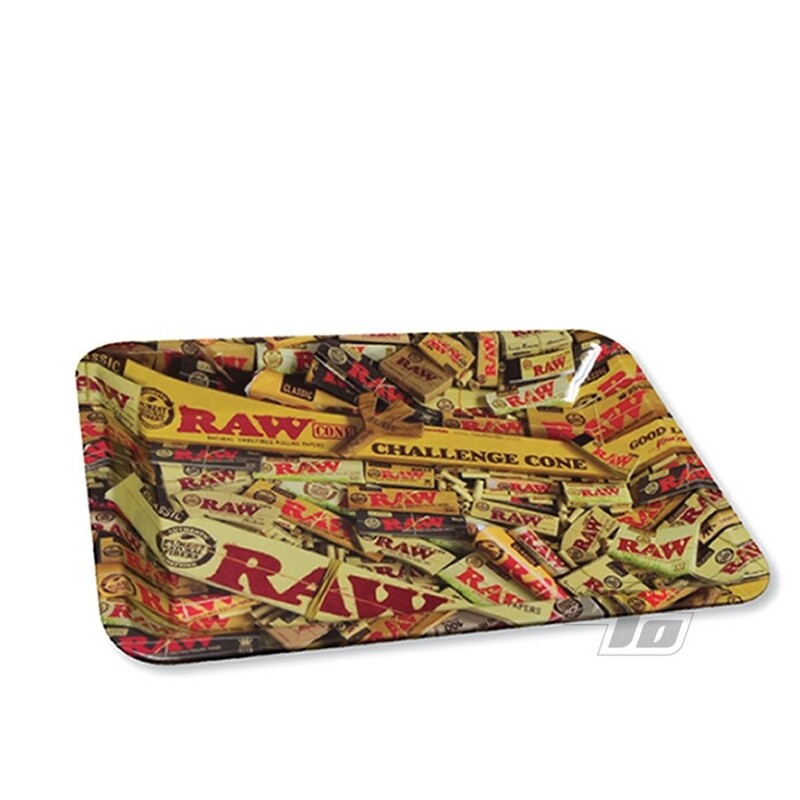 Mini size means that this rolling tray travels though; you can take it out on the town or easily stash it somewhere. Personal Sized at 7 x 5 inches so you have just enough surface needed to work yet easily fits both on your knee, on your beer (can) or in your bag. 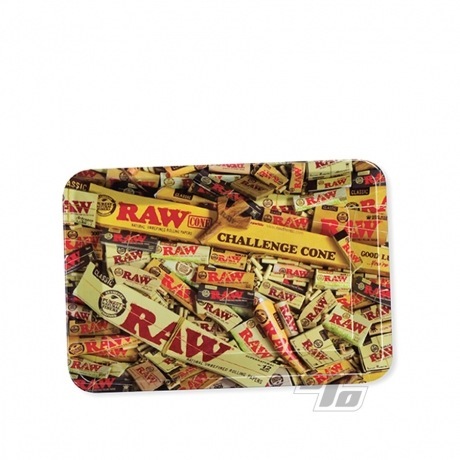 RAW rolls up nice on this RAW Rolling Papers covered rolling tray as do other fine rolling papers.